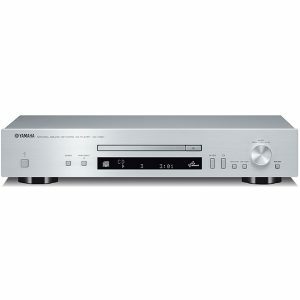 I have been keeping an eye on and given space on this site to the Yamaha CD-N500 which is a CD player that also doubles as a network audio adaptor and is a device I have called out for those of us who want to add CD playback and network media playback to our favourite hi-fi systems. 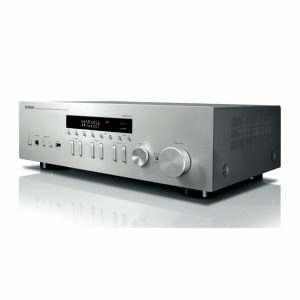 But Yamaha have also supplemented this player with the CD-N301 which is offered at a cheaper price than the CD-N500. 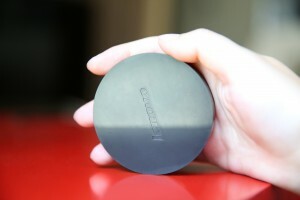 It is also offered in a variant that has a black finish that would go along with hi-fi racks that had that same finish. Both this player and its older brother, the CD-N500, connect to your amplifier or receiver via a line-level analogue input, occupying just one input on your amplifier’s source selector. 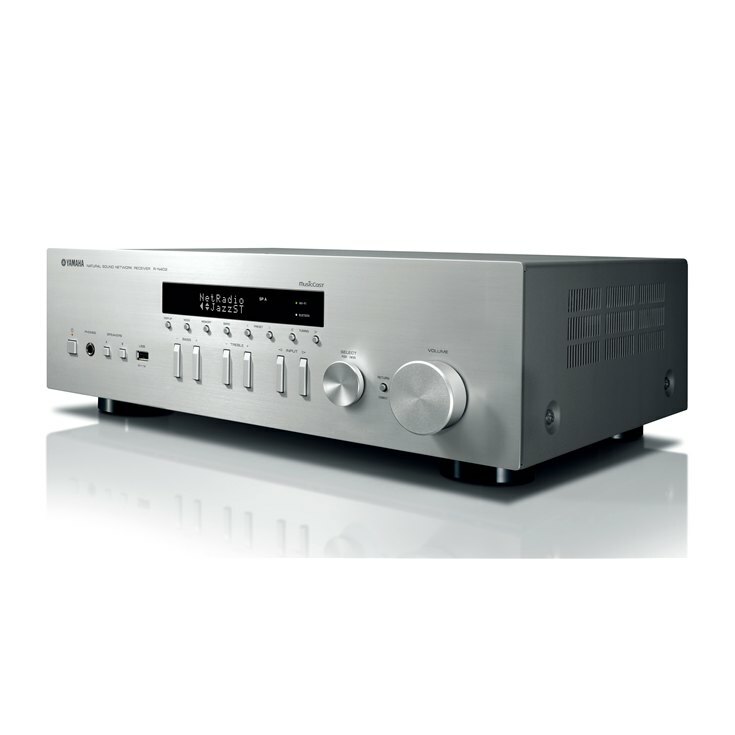 But if you have a digital-analogue converter, home-theatre receiver or digital amplifier, these units also provide an SP/DIF PCM digital output via an optical or RCA coaxial connection. They connect to your home network using the tried and trusted Ethernet connection which also allows for you to use a HomePlug AV adaptor if your house isn’t wired for Ethernet or your router isn’t near your hi-fi system. They also can pull in file-based audio content from a NAS according to DLNA 1.5 specifications or can stream Internet radio courtesy of the vTuner broadcast-stream directory. The file-based audio content can be handled all the way to “master-grade” quality (24-bit 96kHz WAV or FLAC files). If you run iTunes on your Mac or Windows computer or use an iOS device or recently-built Macintosh with recent version (Mountain Lion or newer) of the MacOS operating system, both these players support Apple’s AirPlay network-audio-streaming protocol. The CD-N301 is based on newer construction but is what I would describe as being “Wi-Fi ready” where you can connect it to a Wi-Fi wireless-network segment of the home-network kind if you use an optional wireless-network adaptor module. There is also inherent software-level support for Spotify Connect and Pandora along with support for vTuner Internet radio and content held on your DLNA-capable NAS. But it doesn’t have the USB connection for audio playback from USB storage devices or iOS devices. This may not be an issue if your network-based music exists mainly on a DLNA-capable NAS or an online service. Yamaha shows again that a network-capable audio CD player does exist as a viable option for those wishing to upgrade or replace their existing CD player and add network-audio playback to their hi-fi system. Similarly they also see these players earning their keep for those of us wanting to add CD and network-audio playback to an existing hi-fi system at the same time. I have reserved my tickets for the Australian Audio And AV Show 2016 to he held at the Intercontinental Melbourne The Rialto on 21-23 October this year. As I have noted in my coverage of previous shows that I have attended. there has been equal space given to the classic vinyl record, CDs and file-based digital audio at these shows. 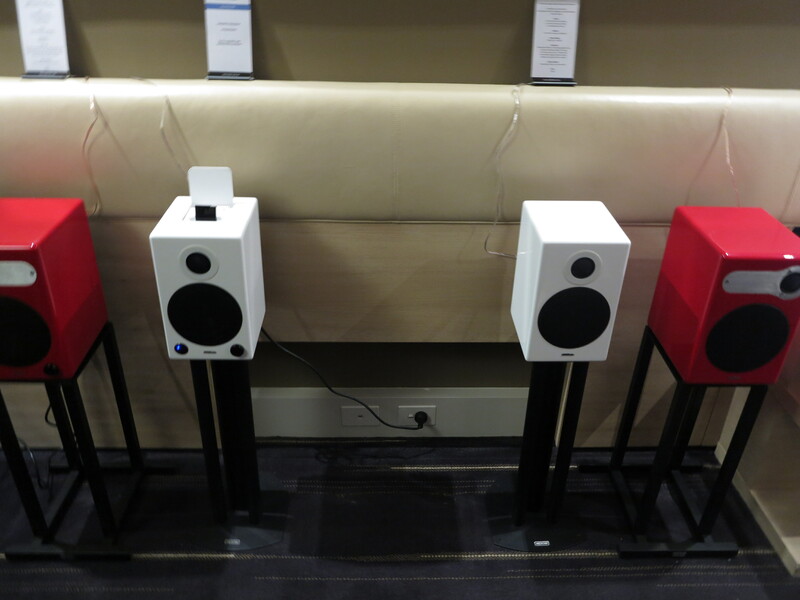 This includes some manufacturers playing music from the different media through the same hi-fi setups. 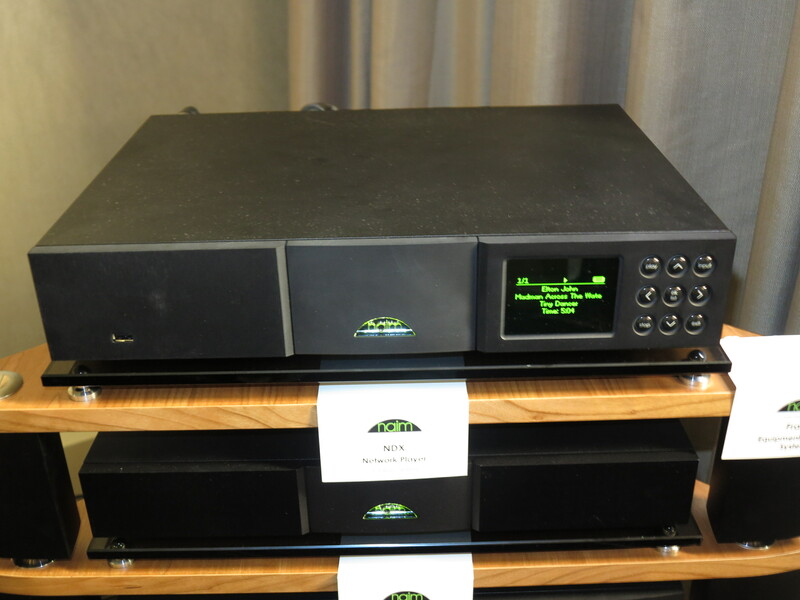 One of the main trends that is surfacing in the high-end audio department is the network audio player that is actually a control amplifier (pre-amplifier) and designed to be connected directly to a power amplifier or active speakers. 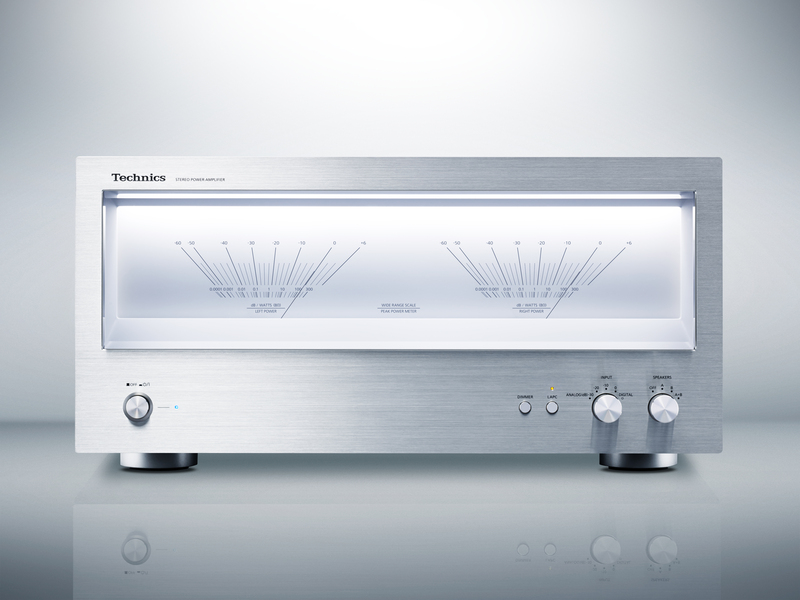 This capitalises on the fact that serious hi-fi buffs have shown a liking towards the idea of hi-fi setups that implement the separate control amplifier connected to either a separate stereo power amplifier or a mono power amplifier (monobloc) serving each channel. Between the 1970s and the 1990s, a typical hi-fi stereo power amplifier was built on a large chassis and had a pair of large “power meters” which indicated how much power these beasts were putting up. 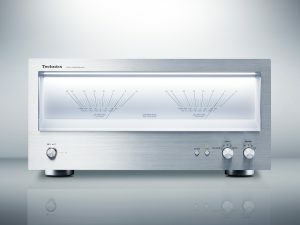 In some cases, these power amplifiers were considered one of hi-fi’s status symbols and Technics carried this forward in their design of the companion SE-R1 power amplifier illustrated on this site. 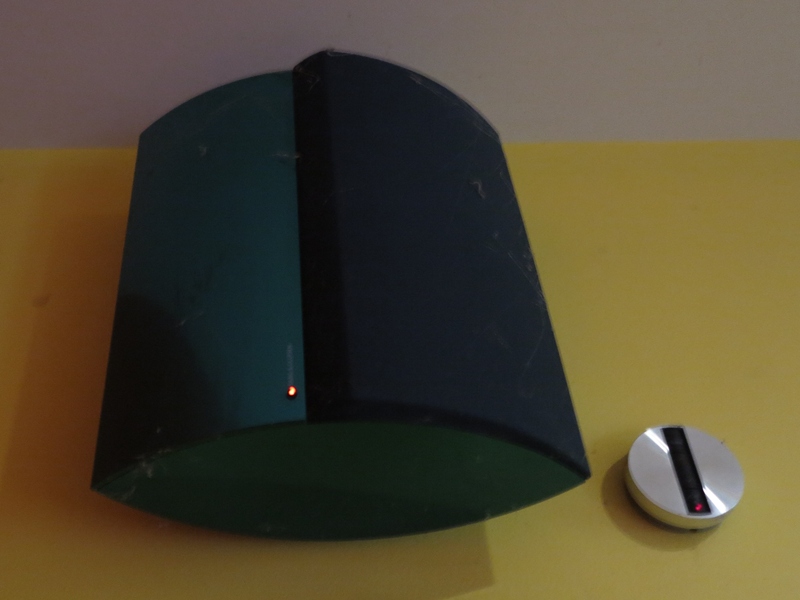 Similarly, there has been some interest in some of the sound-reproduction community concerning the design, manufacture and use of active speakers beyond the “computer-audio, designer-lifestyle-audio and PA-system” use cases thanks to right-sized frequency-specific amplification like biamplification and similar design techniques implemented in these speakers. 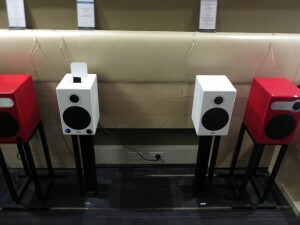 This was something I had noticed at the Australian Audio and AV Show in 2013 when one of the manufacturers presented a set of active speakers as traditional hi-fi speakers. 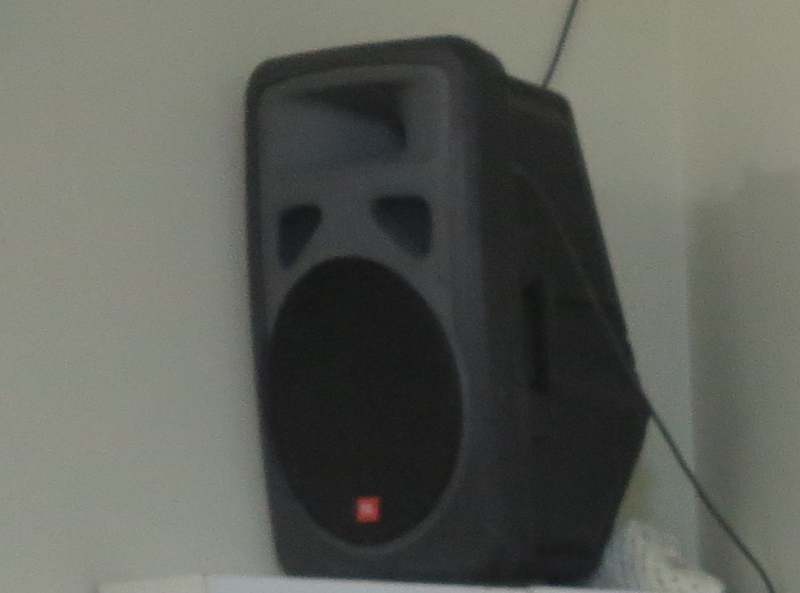 As well, some users may even use an active subwoofer along with speakers served by a power amplifier or a set of active speakers in order to put some extra bass in to the sound. 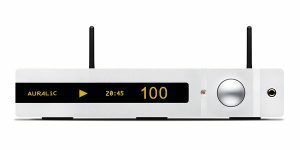 I have called out two network media players – the Technics SU-R1 network media player / control amplifier which is intended to work with the SE-R1 power amplifier but can work with other power amplifiers / active speakers; and the Auralic Altair Wireless Streaming Bridge. Both of these units tick the boxes, not just for network connectivity and online source playback but for the kind of connectivity that can exist between them and a power amplifier or active speakers. These are designed to connect to any of these devices due to use of standard connectors and are proving that this class of device isn’t just for “lifestyle-class” equipment anymore. Firstly, they work using UPnP AV / DLNA technology for discovering content on media servers or NAS units. Similarly they also provide access to some online audio services like Internet radio, Spotify and others depending on the unit and the firmware in place at the time. Apple iOS users can use the AirPlay function to stream sound in to the sound system connected to these network media players. They also work as USB digital-analogue converters with them serving effectively as sound modules for your regular computer or Android mobile device. 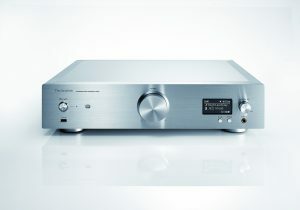 As for connectivity to a power amplifier, they implement the traditional RCA outputs which work with most, if not all, power amplifiers on the market that are pitched for domestic use. These connectors also allow for someone to use active speakers like the Bang & Olufsen Beolab range or the Bose Powered Acoustimass range of active speakers, both of which are known for high-quality sound. But they also implement the balanced line-level connectivity with the three-pin XLR plugs associated with professional audio and PA systems. 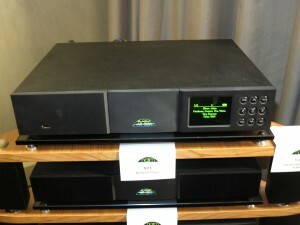 This connection type is also being valued in the high-end hi-fi space for connecting control amplifiers and power amplifiers due to reduced interference but you could even get away with connecting these network media players to active PA speakers of the JBL EON kind. It could raise the audio-reproduction question about the comparative sound quality of a high-end domestic-use power amplifier or active speaker; and a PA/sound-reinforcement power amplifier or active speaker as similar sound-quality expectations are being required for both classes of equipment. What is showing up is that these network-media-player devices are being highlighted as a hi-fi option for those of us who want to build a sound system for file-based or Internet-hosted audio content and base that around high-quality active speakers or separate power amplifiers. I had provided some previous coverage about Panasonic’s AllPlay multi-room audio setup which implements Qualcomm’s AllPlay network-based multi-room audio technology. Here, I called out two stereos, the SC-ALL5CD single-piece unit and the SC-PMX100 three-piece system, that can stream broadcast radio and regular CDs that you buy from Amazon or JB Hi-Fi from their own tuners or CD players through AllPlay-compatible multi-room speakers. Now Panasonic have refreshed their control app for their ALL series speakers and offered a video which shows what the refreshed mobile-platform app can do. 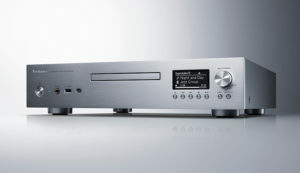 It is part of a video playlist that highlights what the Panasonic ALL series stereo equipment and speaker systems are about. Increasingly we are seeing a range of set-top devices that stream video content from the Internet or our home networks becoming available. Some of these devices like the Apple TV are effectively part of an online video platform with you using a supplied remote control whereas others are simply required to work with a smartphone or tablet via a specially-installed app like the Chromecast.. This is in addition to the likes of Panasonic and Sony offering their smart-TV platforms on their Blu-Ray players as a way of enabling existing TVs with smart-TV capability. I would prefer the Lenovo Cast to have inherent support for VIDIPATH which uses your home network to distribute your Pay-TV service. But at least it can enable more flatscreen TVs like cheaper and older sets, or video projectors to become DLNA and Miracast endpoints. Expect this to be available around August for a price of US$49.